The Namibian Uranium Association (NUA) is the advocacy body that represents the uranium industry exclusively. The Association enables senior executives in the Namibian uranium sector to shape the context in which their industry operates. It supports policies that will let uranium compete on its merits as an energy source appropriate for our modern society and the need for a low carbon footprint through research, factual information and advocacy. 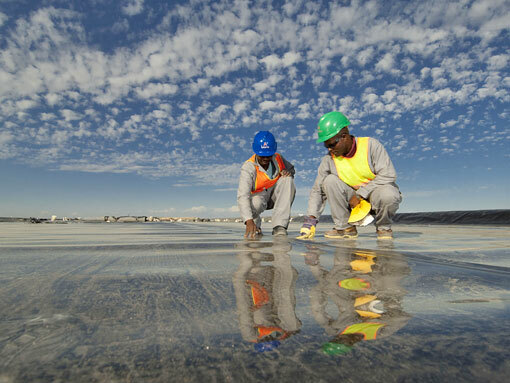 Members of NUA include all Namibian uranium mining operations, most of Namibia’s leading uranium exploration companies, and associated contractors. The affairs of NUA are managed and controlled by a Board of Trustees. The Board is currently chaired by Percy McCallum, Swakop Uranium’s Vice-President Human Resources. The Vice Chair is Werner Duvenhage, Managing Director of Rössing Uranium Limited. NUA is the leading point of contact for government, media, stakeholders, the general public and anybody interested in the position and policies of the Namibian uranium industry. NUA promotes industry’s adherence to strong sustainable development performance, product stewardship and compliance with the Namibian legislative framework. NUA members accept product stewardship as a pillar that supports the overarching concept of Sustainable Development. Product stewardship ensures that business management focuses simultaneously on economic development, environmental impact management and social responsibilities. NUA members do not see uranium stewardship as a compliance issue. It is rather a means to shape their future operational processes, products, services and relationships in a way that ensures production, use and disposal of uranium are consistent with global best practices. Cumulative socio-economic and biophysical impacts of mining cannot be successfully addressed by company only, and unsustainable practices by one company can impact negatively on the entire industry. Proactive cooperation between exploration and mining and harmonised positions with reference to health, the environment, radiation safety and security and community issues companies are therefore a necessity. NUA members accept the responsibilities of uranium stewardship through building partnerships throughout the life cycle of the product to ensure that production, use and disposal are also consistent with the global sustainable development goals. NUA seeks to balance environmental protection values with exploration for and mining of uranium. The Association also addresses the social and cultural needs of communities in the area, people employed by the uranium industry, as well as business and economic imperatives of relevant shareholders. NUA promotes the principle of zero harm and universal adherence to the World Nuclear Association’s policy document on uranium mining standards. It also ensures adherence to strong sustainable development performance through compliance and indeed active participation in the Strategic Environmental Management Plan implemented by the Namibian Ministry of Mines and Energy. NUA strongly supports a coordinated and joint strategic approach by industry and government to ensure sustainable economic development in the Erongo Region. As such, NUA is also guided by Namibia’s Vision 2030, the UN 2030 Sustainable Development Agenda and its 17 Global Sustainable Development Goals, the African Consolidated Position on the UN agenda, and the African Union Agenda 2063. As part of its stewardship mission, NUA has established the Namibian Uranium Institute (NUI). NUI is guided by respected independent scientists who serve on NUA’s Scientific Committee. The main purpose of the NUI is to act as a communication hub for the uranium industry in Namibia, and to promote knowledge and capacity building in specialised skills in the fields of environmental management, radiation safety and health. NUI therefore provides an opportunity for NUA members to work together to improve safety and health performance through the identification of world-class leading best practices and their implementation. As such, NUI is working closely with the Namibian government and state agencies, and also has close ties with the Namibian University of Science and Technology. NUA fosters a number of strategic partnerships in order to promote the Namibian uranium brand. Interaction with the Namibian Government is indispensable, and includes the regulators (Ministry of Mines and Energy, Ministry of Environment and Tourism, National Radiation Protection Authority – NRPA (Ministry of Health and Social Services), Atomic Energy Board). Interaction between the NUI Director and the Presidential Advisor on Constitutional Affairs and Private Sector Interface is taking place on a regular basis. The Government Mining Company Epangelo Mining is a member of NUA, and the Health and Radiation Advisor of NUA serves as the Chairperson of the Atomic Energy Board. A Memorandum of Understanding concerning cooperation with NRPA is in preparation. Furthermore, the Director of NUI serves on the board of the Namibian Energy Institute (NEI). A close relationship with the Erongo Regional Governor and the Erongo Development Foundation guarantees that NUA keeps abreast with local developments and Corporate Social Responsibility requirements. Interaction with the parastatals NamWater, NamPower, TransNamib and NamPort ensures up-to-date knowledge about the provision of essential services. The quality of training and research is addressed through interaction with the Namibian University of Science and Technology (NUST) and Bern University, Switzerland, with three members of NUA’s Scientific Committee coming from these institutions; as well as the Director of NUI serving as chairperson of the Board of Trustees of the Namibian Institute of Mining and Technology (NIMT). There is of regular interaction with the Namibian Chamber of Mines, and NUA is a member of the World Nuclear Association (WNA. NUA is a member of the Namibia Scientific Society, the Swakopmund Scientific Society (member of the board), and the Recycle Namibia Forum. The Namibian uranium industry is subject to the provision of a number of legal instruments, in particular the Minerals Act, 1992 (Act 33 of 1992) the Atomic Energy and Radiation Protection Act, 2005 (Act No 5 of 2005) and its Regulations, the Environmental Management Act, 2007 (Act 7 of 2007), as well as international agreements such as the Convention on the Physical Protection of Nuclear Material, the Treaty on the Non-Proliferation of Nuclear Weapons, and the Comprehensive Nuclear Test Ban Treaty. Other commitments result from Namibia’s membership of the International Atomic Energy Agency (IAEA). NUA members are operating according to international best practice, as enshrined in the NUA’s Charter, the NUA’s Constitution and the Chamber of Mines of Namibia Code of Ethics. They are setting a high standard through their commitment to product stewardship, and have at all times been in compliance with the instruments listed above. In addition, NUA’s contribution to the implementation of the Ministry of Mines and Energy’s Strategic Environmental Management Plan for the Uranium Province and the adoption of the WNA’s Checklist on Sustainable Development Performance for Uranium Mining further ensure the industry’s performance in the best interest of Namibia and her people. Depressed uranium prices currently present a major challenge to the uranium exploration and mining companies, and their contributions to employment and Corporate Social Responsibility programs therefore speak for themselves when it comes to the unwavering commitment of the industry to up-lifting the living standards for all Namibians, even in economically challenging times. It is predicted that global electricity demand will increase by at least 80% by 2050, and at the same time at least 80% of the world’s electricity must be low-carbon by 2050 to keep global warming within 2˚C. Studies show that significant reductions in carbon emissions, while also meeting the growing electricity demand, cannot happen without nuclear power as a major provider of low carbon energy. An increasing disparity between global supply and demand is therefore forecasted, and this should increase the price of uranium. While this gives reason for a cautious optimism, for Namibia water, electricity, and policy and regulatory issues remain key issues. The NUA is well placed to assist in addressing these issues.